The Marks and Spencer Autograph range for men started off with some nice items a few years back, but then lost its way and never really found a way back. Their current range isn’t too inspiring (and using old footballers as models doesn’t help), but one or two things do still catch the eye. 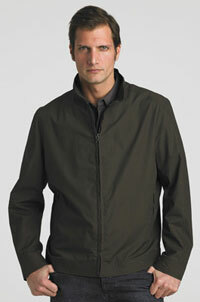 This year they seem to be big on their Harringtons, including this pure cotton Harrington jacket for less than £40. Designed for Autograph by Nigel Hall, it’s not quite the traditional style, missing the contrasting lining and looking a bit too "modern" around the waist. But for the money, it’s still a very smart item that should see you through the summer.